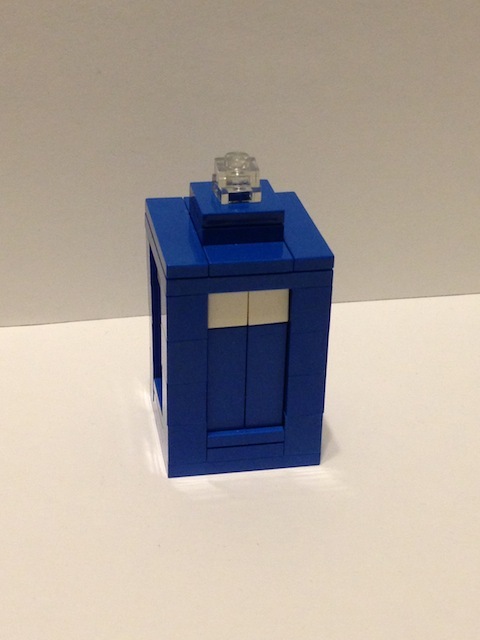 While my normal LEGO TARDIS is over 12″ tall, the micro TARDIS is about 2.5″ from top to bottom. 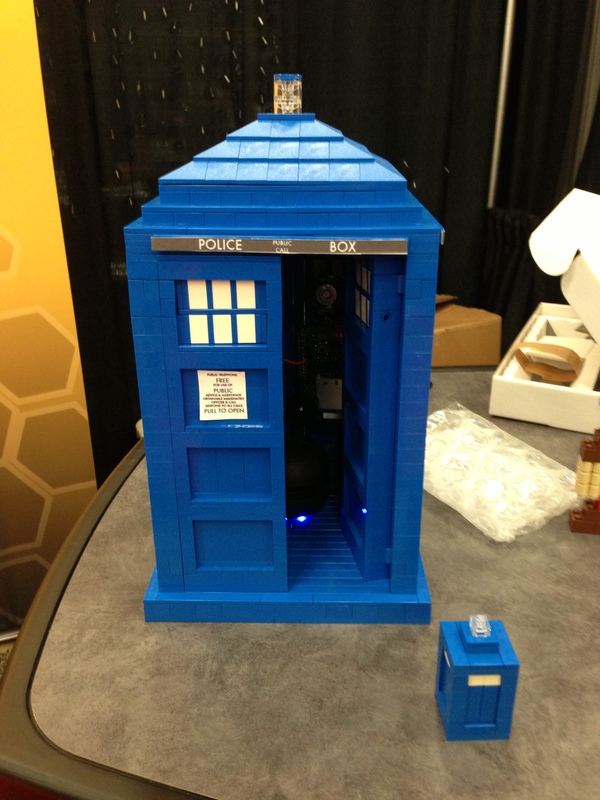 By creating this smaller TARDIS, I could talk about the book and build creations while talking. This allowed me to talk about my book, my LEGO creations, and answer any questions that attendees may have. 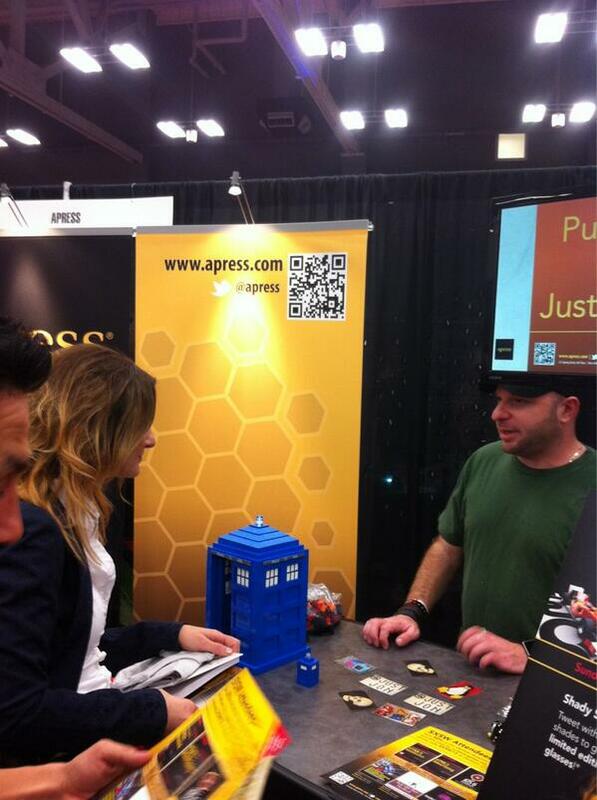 Between building Mario, Link and five TARDISes, time flew by at the Apress table in the expo hall. When all was said and done, I had built five TARDISes to promote the book. Each was given to someone who had an interest in the book and what I was doing (and one was given to Apress), some of whom I only asked for a picture in return for the TARDIS. 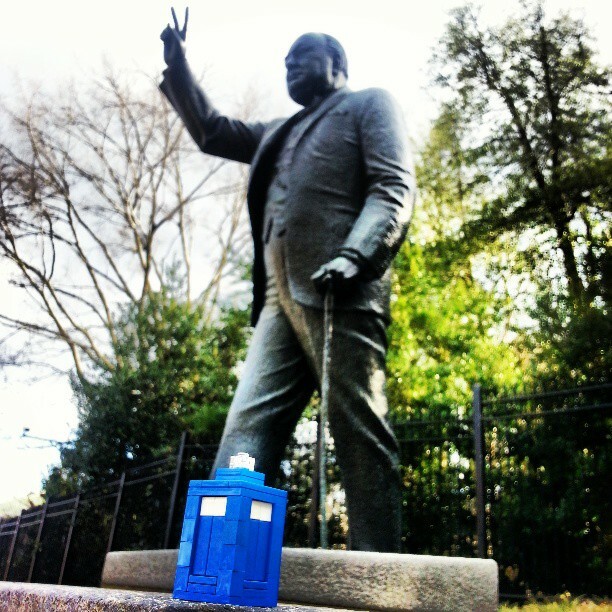 One of the people I gave the TARDIS to was someone from the UK Embassy, who took a picture of the TARDIS with a statue of Winston Churchill when they returned to Washington DC (and they also republished the photo during the season premiere of Doctor Who Saturday night). I have decided to make some of the TARDISes available in my Etsy store if anyone wishes to have a LEGO micro TARDIS of their own to travel through space and time with, or if they just want to find out if it is larger on the inside. In the meantime, the book progresses apace, and I look forward to having it available so others can build some of my LEGO creations.